Stranger Things star Millie Bobby Brown has confirmed the rumours she’s in a relationship with a huge star you’re likely to have never heard of. Rumours began flying around not so long ago about the 13-year-old’s relationship to singer Jacob Sartorius after they both began liking each other’s social media photos. If the name Jacob Sartorius sounds unfamiliar to you then fear not, it’s not that he isn’t famous, it’s just that he caters to a slightly younger audience. He has over 2.8 million subscribers on YouTube alone and is probably creating the type of music Justin Bieber would have put out a few years ago. Now, Brown has confirmed the romance in her Instagram story with a picture of the two of them accompanied by love hearts. Brown isn’t being coy about her feelings either after she posted two photos of her hugging a bear, which was apparently a gift from Sartorius. While this is a prime example of puppy love, some people have disapproved of their relationship (naturally), particularly as Millie is only 13-years-old and her boyfriend is 15. Most people aren’t happy with the recent developments in Millie’s personal life and it seems most of this concern is due to the actress’ age, but one of the main worries is the possibility she could be maturing just a little bit too quickly before our eyes. 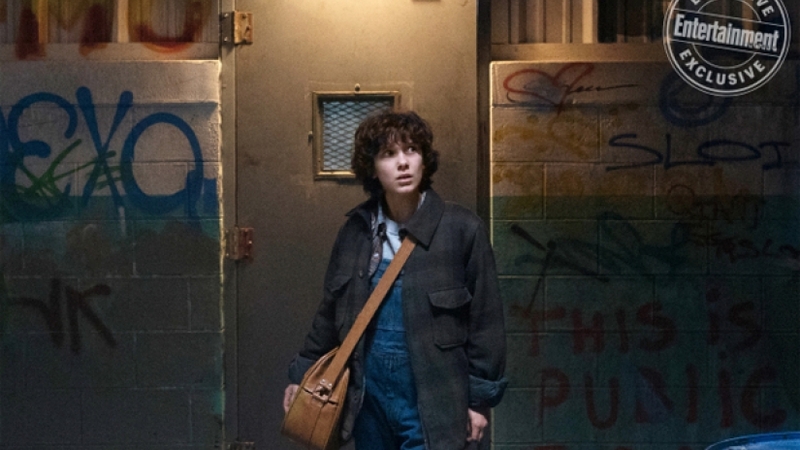 While the temptation is there to place Millie Bobby Brown on a pedestal, it’s worth pointing out she’s still a child who needs space to mature and grow. I’m leery of blowing too much smoke up her already well-filled smoke a*s… Because I do feel that when I’m in the nursing home, I would like to be able to watch movies with her in her 30s and have her become Meryl Streep. She has the potential for that to happen. In other Stranger Things romance news, David Harbour has agreed to officiate the wedding of a fan who tweeted him. Well, as Erika – a woman with fewer than 500 followers – discovered, it only took 93,162 retweets and 32,805 little Twitter love hearts, at time of writing, to guarantee her Happily Ever After. 125k retweets. Provided date works with s3 shooting schedule, I will get ordained and perform ceremony. I get to read an esteemed love letter of my choosing, and after the cake is officially cut, I get the very first piece. While her RTs haven’t reached the required 125,000 yet, Hopper’s tweet is sitting pretty at 138,752, at time of writing. Either Harbour has lessened his demands or he’s just ‘halfway happy’ with the almighty Twitter efforts of Stranger Things watchers. Social media is a strange and wonderful world.